Fort McMoney (Making of) from National Film Board of Canada on Vimeo. Fort McMoney launched at IDFA 2013 and we thought our i-Docs community would be interested in an exclusive interview with its director, David Dufresne (previously known for Prison Valley). 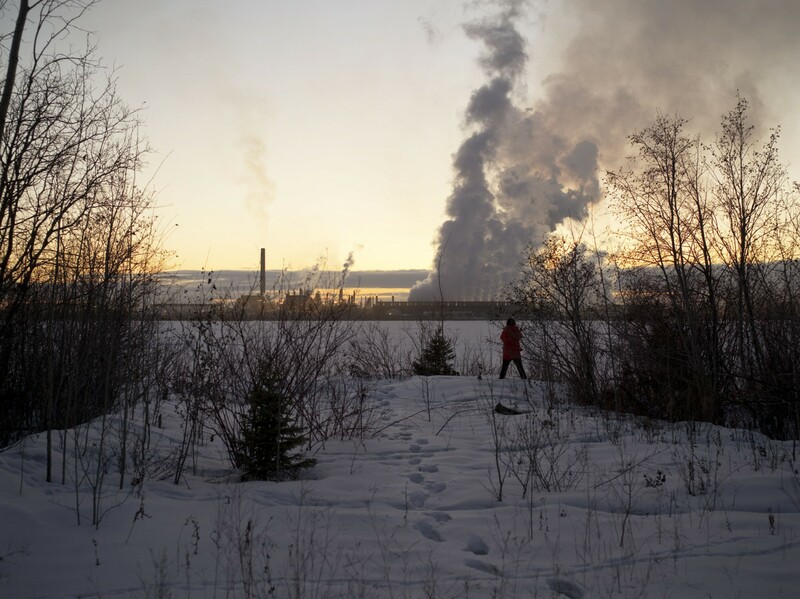 Fort McMoney speaks of the environmental issues behind the oil industry through the language of a collaborative docu-game – an ambitious challenge that the NBF, Arte and Le Monde where happy to take on board. In this interview David Dufresne tells us more about what pushed him to embrace such a new narrative style, the challenges he had to face during the production and the budget he had at his disposal. SG: With Fort Mc Money you take the clear challenge of engaging the user in a game-like experience in order to discover environmental facts. Why did you go for a game logic? DD: In 2010, we had started borrowing certain video-game codes for [the Web doc] Prison Valley . In the 80s and 90s, I played a lot of video games like Sim City, Myst, Diablo. I still play quite a bit… Football Manager. And I continue to keep an eye on what’s happening in the game industry, whether it’s L.A. Noire, Watch Dogs or independent companies like the Italian collective Molleindustria. The entire Fort McMoney project was driven from the start by the idea of combining documentary film and video games, an auteur approach and the freedom of the spectator. That was really both our goal and desire. Several factors pushed us in that direction: the desire to innovate, explore new forms of storytelling and involve the public. The world’s future is being shaped by energy issues. Gaming is one way of raising awareness. What we’re hoping to do is create an opening or, more specifically, take up where others left off. What a simulation or management-type video game had to offer struck us as particularly relevant in this instance. Let’s play with something real. Let’s take control of a city that exists, that drives the economy of a gigantic country—Canada—and make it a topic of international debate. That being said, let’s not delude ourselves. Clearly, what’s called “gamification” can’t be considered a miracle alternative. Some topics become more intense and immersive; others lose their punch. In the case of Fort McMoney, we were counting on the game to serve as a vehicle for piquing interest, a tool for debate, confrontation and total delinearization. With this wild hope in mind: to provide an exploration of the city that’s on par with its unbridled and limitless development. SG: What did you learn out of Prison Valley that has been useful when creating Fort McMoney? DD: Prison Valley was a laboratory for us all, a great adventure that exceeded all our expectations. An independent British game studio recently cited our Web documentary as one of the factors that influenced them in the way they designed a simulation game (read the article here). We’ve sort of come full circle. One of the lessons we’ve learned, I think, is that the important thing is… to play. Play with codes, play with the boundaries governing narrative, production, editing, distribution and promotion. The other important lesson is to constantly try to involve the public in the story, so that the public truly becomes an actor in the storyline. That’s the biggest challenge for anyone working in interactive writing. Basically, in instances where Prison Valley borrowed certain elements of its grammar from video games in 2010, Fort McMoney appropriates them. Prison Valley was a Web documentary with playful allusions; Fort McMoney is a true documentary game. The similarity between the two projects is obvious—a city, an industry, the Web as the narrative platform. Fort McMoney is even full of cameos taken from Prison Valley, but Fort McMoney came about four years later, along with a desire to go much further in many areas. DD: The various presentations of Prison Valley we gave around the world taught us that, once again… there are no rules. And certainly no targets! The common base for viewers of interactive works is not age, culture, or lifestyle. It’s curiosity and time, two rarities in today’s world 🙂 The famous 1% rule states that 80% of Internet users only view content, 19% have very little involvement and 1% are very active. All our work and much of our time go to that… 1%! That’s both the craziness and beauty of the genre. It’s also a risk. And that’s why it’s exciting. Personally, I think Fort McMoney, coming as it does after other interactive works, belongs to a form of documentary filmmaking Research and Development. Everything needs to be formulated, worked out, called into question. And I’ll be happy to share a few prototypes with you, but let’s wait a bit if you don’t mind. And I’ll tell you how so much has changed in the span of two and a half years of creation. SG: Why the oil industry as a topic? DD: During the two winters we were in Fort McMurray shooting, there was always a crow or two overhead. These birds of doom abound in the region and are eating up the city the way the oil companies are gobbling up the ground. One question kept coming back: When all is said and done, what if this “dance of the rotting carcass” is really our dance? The question spawned others: How did our thirst for oil make us think it was smart to spend a barrel’s worth of energy to produce two? How can our society rush headlong in pursuit of instantaneous wealth whose immensity is mind-boggling but at the same time devastating and irreversible? The oil industry is the archetype of capitalism triumphant. It’s a game that plays with the economy, land and influence. SG: Are you aware of OFFSHORE (designed by Helios) – another Canadian project that is also treating the topic of the oil industry and its environmental challenges, and that, interestingly, has been released this month and does also opt for a 3D-game look and feel? Have you leased at all during your production phase? DD: I was very impressed by their trailer. And what I find interesting is that two initiatives dealing with oil resources have conceived of two games that are entirely different. 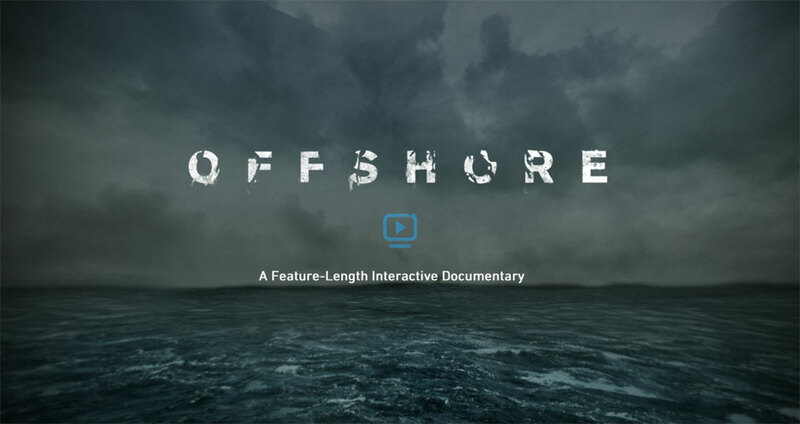 OFFSHORE is a closed world full of imagery in 3D, very close to the first-person player format, while Fort McMoney is a collective game in real time, based on reality. SG: I am very interested in your choice to release the game in several episodes… can you tell me more about the thinking behind it? Is it a marketing technique? A narrative choice? DD: Fort McMoney is a kind of road movie where the road ends and the battle begins. The surface area we’re talking about here is the size of… Florida. The city of Fort McMurray reigns over a vast territory. In a way, our game is in line with that excess. If you want to spend five minutes there, you can. If you want to spend a month there, we have three game masters who’d be happy to accommodate you. One speaks English, another German, and another French. Releasing the game in episodes also poses a risk, just as Prison Valley, with its two hours of video, took a risk with its long format in a sea of short productions. The initial idea to release in several episodes is symbolized by the weekly referendums: if the players want their worldview to triumph, they’ll have to put up a fight. Convince others. That takes time. Another idea is an allusion to series, those moments you wait for without really waiting, that you imagine while waiting for the next episode. Ultimately, it’s always the idea of testing the waters, opening the door without knowing what you’ll find—a crowd or an empty room. SG: Tell me more about your distribution strategy… why 3 websites? and what is the role of the newspapers? Is Le Monde considering Fort McMoney as a new way of doing journalism? DD: The idea was to actually involve our partners like Le Monde, The Globe and Mail, Radio Canada and Süeddeutsche.de and not settle for relying on their large audiences. Each editorial board is going to appoint one or two of its journalists, who will become full-fledged Fort McMoney players. Their role will be to bring their perspectives, their expertise and/or their analyses. The journalists-players will obviously be free to express their own opinions and will even be invited to discuss the content of Fort McMoney if they want to do so. The idea is to create a form of stimulation, an essential ingredient of any game. In parallel, some of our partners will report on the game in their columns and publish substantive investigations of oil—articles that will provide input for our game. In some cases, that required months of discussions. Some of the newspapers wanted to know, and rightly so, what they were getting into. Oil is a key political topic, and not just in Canada. DD: Several partners were needed to make the production of Fort McMoney feasible. In fact, its total budget was made possible through the participation of TOXA. It was also made possible thanks to the participation of the NFB as a minority producer and ARTE, another partner in the project via a license. The total budget for the Fort McMoney project is $872,000. Of that, the NFB’s participation was $270,000—about 30% of the total budget. 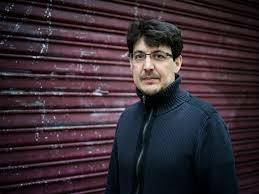 TOXA, the project initiator and major producer, had access to funding programs devoted to interactive works via the experimental component of the Canada Media Fund ($471,210). Fort McMoney had production costs in the mid range of documentary productions in Canada and more specifically at the NFB. It’s a content-rich documentary game that, like traditional documentaries, required several production stages, including development (1,940 hours), research, investigations, shoots in various locations (60 days), editing (5 months), travel, etc. May I now invite you all to go to fortmcmoney.com and start playing?